The older generation of mechanics boasted that they didn’t need a certification to prove to the world that they knew how to properly diagnose and repair a vehicle; after all they had been doing just that for decades. Ultimately those mechanics, who would not accept the challenge of learning the new technological advances in the automotive industry and submitting to the exercise of testing, would swiftly be left behind. In 1978 it was apparent that our industry was going through an exciting & challenging metamorphosis. 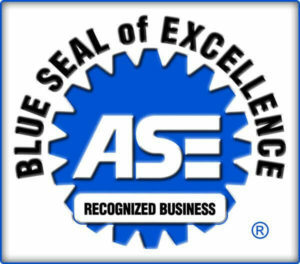 ASE (Automotive Service Excellence) had been around since 1972 and the push to become certified in the industry was on. We stuck our noses in the books, went to class to learn theory of operation and we strove to prepare ourselves to meet the challenges of the future. Our industry is changing at lightning speed and as a young mechanic in 1978 I saw the writing on the wall. As a GM certified technician, I experienced the advent of computer management and countless electronic systems. Mechanical, vacuum, refrigeration and hydraulic configurations were evolving into an era of complexity by leaps and bounds. Mechanical fuel pumps, distributors, carburetors along with a host of other similar components became extinct. 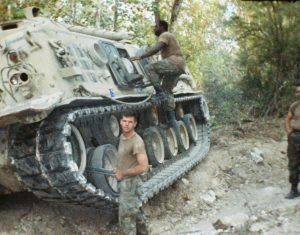 They gave way to fuel injection, electronic control modules that incorporated an army of electronic sensors that talked back and forth to each other, transmitting data several hundred times a second. Diesel engines entered into day to day vehicles, turbo & supercharging enhance performance. Transmissions that once operated solely with hydraulic pressure, vacuum and friction internals are now managed and monitored with precision by a computer. As advanced GM technicians, Lee Forman (my Business Partner), Glen King (Former Service Director@ Cadillac Dealer) and I mentored many apprentices at our dealerships through a GM Apprentice program called ASEP. This 2-year apprentice program provided students an Associate’s Degree upon completion. Glen shared his knowledge through teaching an advanced electronics class for the automotive program at Catonsville Community College. Fast forward to 1995, to our first location in New Market, Maryland, Lee Forman and I were working hard on what would eventually become a successful multi location business, one that grew from our many years of education, planning and perseverance. Our well-honed skills gave us a leading edge over our competition through tried and true practices and experience. One day my mentor, Glen King, called Lee and I to tell us about a “hotshot technician”. His name was Dwayne Myers and he was leading his advanced electronics class by a large margin. He said “this kid is something else” and to hear Glen say that, made Lee and I pay attention. He told us that Dwayne was working for a trucking company right down the street from our New Market location and that we should introduce ourselves to him. Lee and I both visited Dwayne many times while he was working at the trucking company. We got to know this young man and were impressed with his natural talent and confident, yet polite demeanor. We wanted him on our team. Even then as a young technician, Dwayne possessed a serious, ambitious attitude with goals to meet and a hunger to learn. We knew Dwayne was going places. He possessed the very rare gift of being both technically proficient and having exceptional people skills. He shared a goal with us…to be involved with the automotive industry primarily. We offered him the way into the automotive industry and Dwayne said goodbye to the trucking industry. At that time, Dwayne had a total of 8 certifications in both automotive and in heavy truck categories. This young ma n would work 11 hour days and then drive an hour to Catonsville Community College, where he completed a 3 year general automotive program through NATEF earning an Associate’s Degree in Applied Science. It was during this time Glen King encouraged Dwayne to never stop learning. This profoundly affected Dwayne’s discipline toward his learning practices to this day. Dwayne’s foundation was deeply influenced by his father, who taught him to learn whatever you can and to do your best at whatever you choose to do. Couple these very strong influences with Military service and training and you’ve got a lean mean learning machine with limitless possibilities. He also became fully ASE certified in all of the heavy truck categories in 1997. We had challenged him to become fully ASE certified in all of the automotive categories. Never shying away from a good challenge, Dwayne did just that and completed all of his automotive ASE certifications in 2002. 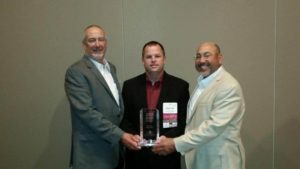 Like Lee and myself, he continued to recertify all his ASE certifications over and over again, keeping pace with the industry’s advancements. As new innovations appeared, such as Hybrid vehicle technology, new ASE certifications also appeared and Dwayne stayed in stride with the changing landscape. Simultaneously he was learning the administrative end of the automotive repair business. His hunger to learn was very evident. He loved the technical aspect but was inquisitive about the administrative and management aspect of the automotive business. That became apparent to me when he gobbled up a Profit & Lost statement I shared with him. I had never seen anyone so hungry to learn everything he got his hands on. Both Lee and I encouraged him to continue to expand himself and we began to load his plate with additional responsibilities. Dwayne carried the load and relentlessly pushed forward. Not without mistakes which quite frankly, is part of the process of learning. As you could imagine the process took years of education, training, failing and succeeding and Dwayne found himself at University of MD University College completing his Bachelor’s Degree in Business Administration. Dwayne’s philosophy is “I will not fail. I only learn.” and the beat goes on…. 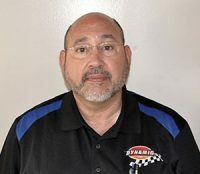 Dwayne began his career with us in 1996 as a truck mechanic working in an automotive repair shop. Through his dedication, willingness and ability to learn, he has touched every aspect of this automotive repair organization. He has earned both his Associate’s and Bachelor’s Degree while working every position within our organization from cleaning toilets to making million dollar decisions. His current position as a partner of Dynamic Automotive is CFO (Chief Financial Officer). 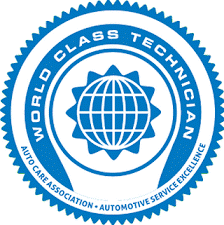 Dwayne has recentl y been recognized by the National Institute for Automotive Service Excellence (ASE) and the Auto Care Association for completing the required 22 ASE certifications to earn the World Class Technician status currently shared by only 17 other outstanding individuals out of 895,300 automotive technicians working in the United States. These recipients represent the Best of the Best and we are extremely proud to call Dwayne one of our own. Dale Banfi, Downers Grove, Ill.
James Bennett, Jr., Norfolk, Va.
Karl Chabowski, Rolling Meadows, Ill.
Kenneth Grabowski, Rolling Meadows, Ill.
Matt Krull, Lester Prairie, Minn.
Andrew Lewis, Island Lake, Ill.
Lewis Vicinus Jr., Millville, N.J.
John Villa, San Luis Obispo, Calif.
For the 2017 World Class Technicians full press release, click here. 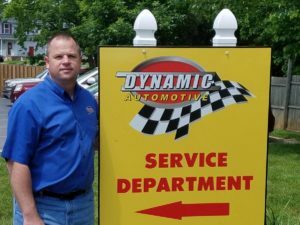 Dwayne is our world class technician that we are proud to have as a partner and friend at Dynamic Automotive. The educational process in our industry not only continues but has expanded greatly to this day. Vocational education of the trades is vital to our countries economic health. The good old USA continues to need highly skilled technicians in countless fields that offer a rewarding way of life. ASE, is short for the National Institute for Automotive Service Excellence. Since 1972 our independent non-profit organization has worked to improve the quality of vehicle repair and service by testing and certifying automotive professionals. The Auto Care Association is the voice of the $300 billion plus auto care industry. We provide advocacy, educational, networking, technology, market intelligence and communications resources to serve the collective interests of our members. Founded in 1983 as an independent, non-profit 501(c) (3) organization the mission of the National Automotive Technicians Education Foundation (NATEF) is to improve the quality of automotive technician training programs nationwide at secondary and post-secondary, public and proprietary schools. To accomplish this mission NATEF examines the structure, resources and quality of training programs and evaluates them against standards established by the industry. These standards reflect the skills that students must master to be successful in the industry. Under this optional tire road hazard protection plan, Dynamic Automotive will provide additional coverage to any tire purchased & installed by Dynamic Automotive, against tire failures caused by road hazards such as nails, screws glass, or almost anything else that could puncture a tire during the course of normal driving on state or county maintained roads. The tire road hazard protection plan is valid from the date of purchase though the tire manufacturer warranty or when the tread depth reaches 3/32 of an inch, regardless of the age. In the event that your tire(s) should fail due to a road hazard, our tire road hazard protection plan will repair the tire free of charge. In the event the tire(s) is not repairable, the tire road hazard protection plan provides a credit based on the remaining usable tread at the time of failure due to a road hazard. Credit is determined by the remaining usable tread multiplied by the current price of the tire. “Usable tread” is defined as the original manufacturer tread depth minus 3/32 of an inch. Eligibility for warranty coverage is determined at Dynamic Automotives sole discretion. The tire protection plan will be void if any tire is repaired or modified in any way by a person or party other than Dynamic Automotive. This road hazard protection plan does not provide compensation for inconvenience, consequential, and/or incidental damages and does not replace, extend or modify the manufacturers’ warranty, and/or that the tire(s) sold and installed by Dynamic Automotive cannot fail. rotate and balance the tires per vehicle and/or tire manufacturer guidelines. affect the tires in proper working condition. Use our app to send us pictures and any funny sounds you hear, ask the mechanic a question, get VIP coupons & rewards, get a tow truck and use My Garage to keep track of your car’s maintenance.